Save with us and watch your money grow. Visit any branch or give us a call to get started. Share certificates are a good way to save and earn money over time. Certificates have a number of available options so you can choose the length of time you want to invest your money. The minimum deposit amount is $1,000, however, we have a 12 month certificate that can be purchased for $500. Another benefit that may fit your investment options is our 9 month certificate which allows for a one time penalty-free withdrawal (not available on IRAs). 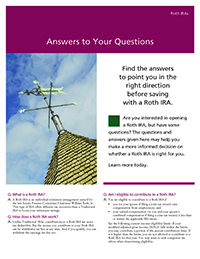 When your certificate matures, it can be cashed or automatically renewed based on your investment goals. Spring into savings with these great rates! *APY= Annual Percentage Yield. This offer is available for new money not currently on deposit with AACFCU and renewing share and IRA term certificates, if requested. The minimum balance required to open one of these accounts is $1,000 and must be maintained to receive the disclosed APY. The initial promoted dividend rate will be credited to your account quarterly. The certificate will automatically renew at maturity at the time of maturity for the same term, minimum balance and other features as the original term share certificate account with the exception of the 53 month CD that will renew for a term of 48 months. This offer, including the stated APY, is effective October 1, 2018. AACFCU reserves the right to end or modify this offer at any time. Additional deposits to term certificate are not allowed at any time. Penalty applies for early withdrawal from the certificate. This is a limited offer and can expire at any time without notice. 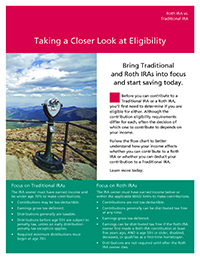 We are pleased to offer both Roth and Traditional IRAs. 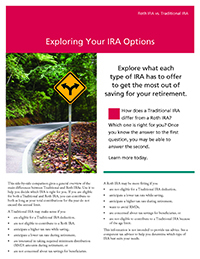 No matter where you are in life, saving now with an IRA can better prepare you for your future. 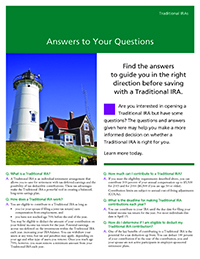 Whether you are beginning your career, planning for your family, or you are about to retire, it's never too late to start saving with a Traditional IRA or Roth IRA.